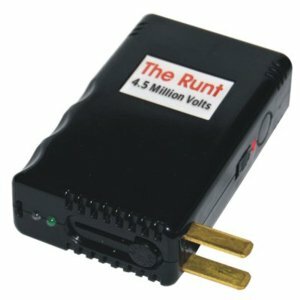 It is called "The Runt." My friends it is anything but. It is huge, a GIANT in the SELF DEFENSE PRODUCTS industry. 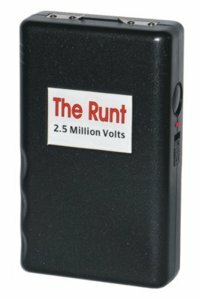 The name of course refers to the size at 3.25 inches making it one of the smallest stun guns around. This makes it perfect for carrying in a purse, pocket or even in your hand. If you would like to wear it like a pager there is a heavy duty nylon belt loop holster included. 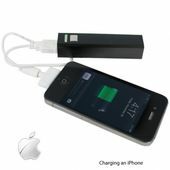 Batteries are included too for all models except the rechargeable model saving money on batteries. This unit is perfect for women of all ages, and works for men as well. Available in three "flavors"-2,500,000 volts , 3,500,000 volts or 4,500,000 volts plus the 4,500,000 million volt rechargeable model. They all have lifetime warranties. It has a safety switch. This switch must be in the on position for the stun gun to work. When you apply the stun gun to your attacker for 3-5 seconds it causes the muscles to do a great deal of work rapidly instantly depleting the attacker�s blood sugar by converting it to lactic acid. This makes the attacker unable to produce energy for his muscles, and his body is unable to function properly. The electrical charge also interrupts the impulses that control and direct muscle movement causing him to lose balance-he can't stand. I advise a verbal warning like "back off" to a potential assailant while holding up a charging stun gun. 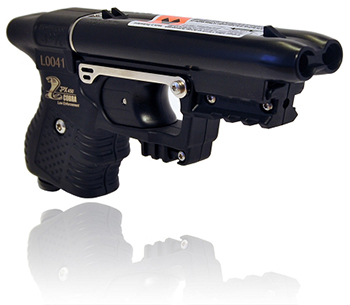 Sometimes the sight and sound of a charging stun gun has been known to change many a bad guys' mind. It's like saying 'you really don't want a bite of this do you?